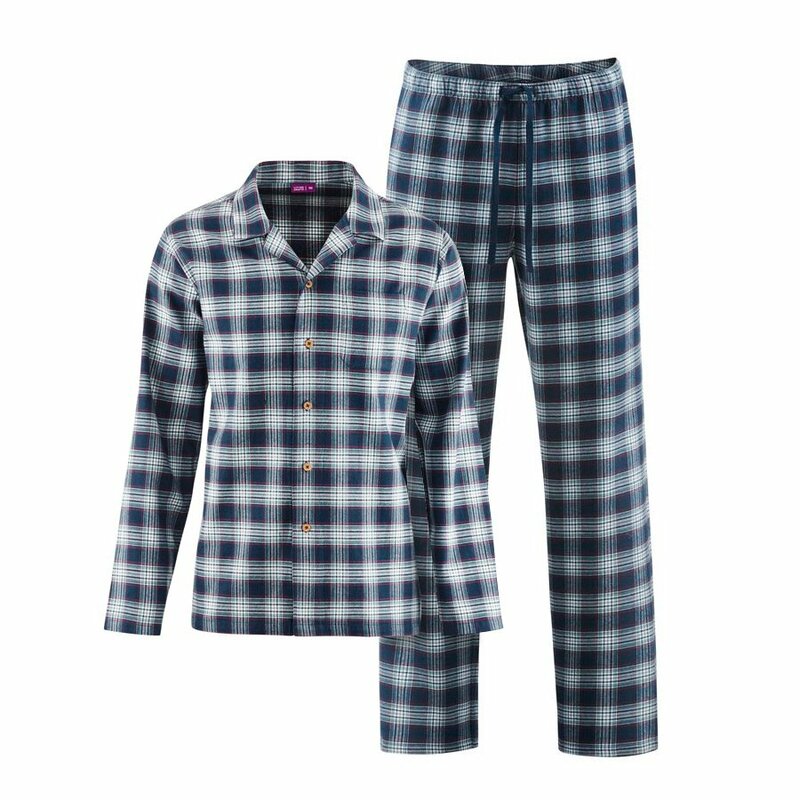 Classic organic cotton flannel check pyjama shirt and trousers. 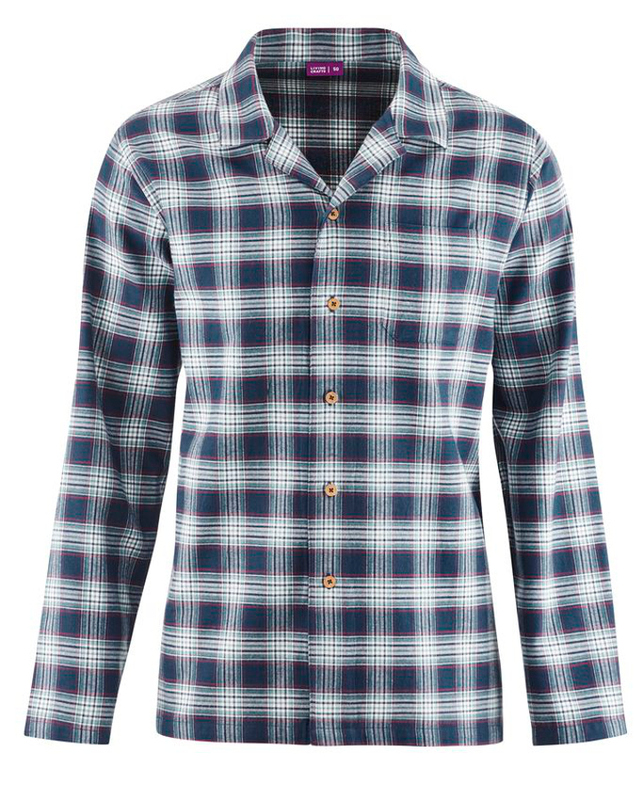 The long sleeve button up shirt has a relaxed fit for comfort, and the matching pyjama bottoms feature a drawstring waist for the perfect fit. 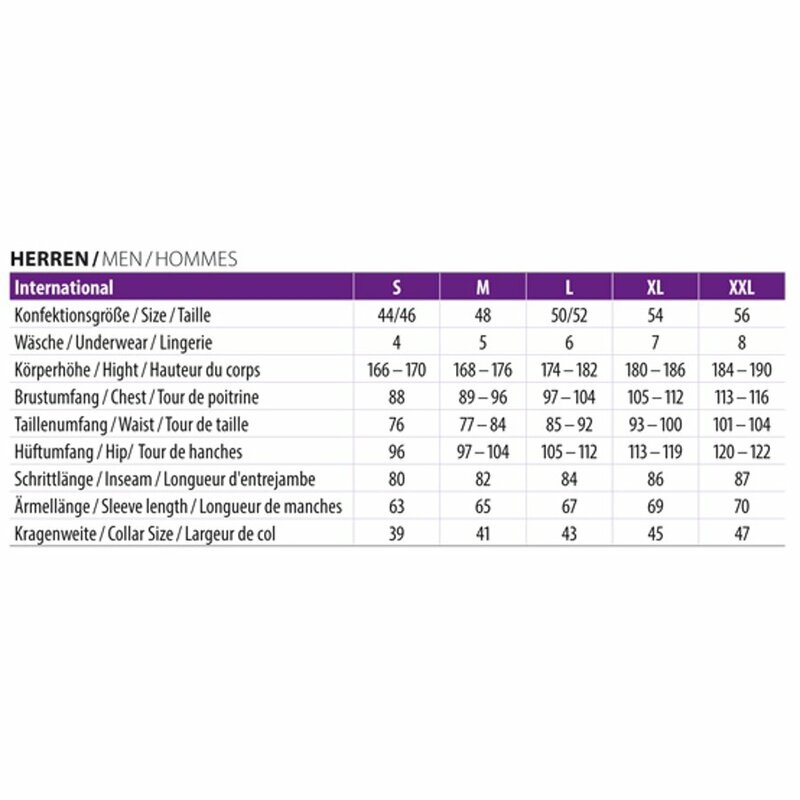 The manufacturers adhere to fair trade standards, working in accordance the SKAL guidelines and SA 8000 social standards to ensure fair production processes, including fair wages for employees and good working conditions. Inside leg length approx. 84cm. 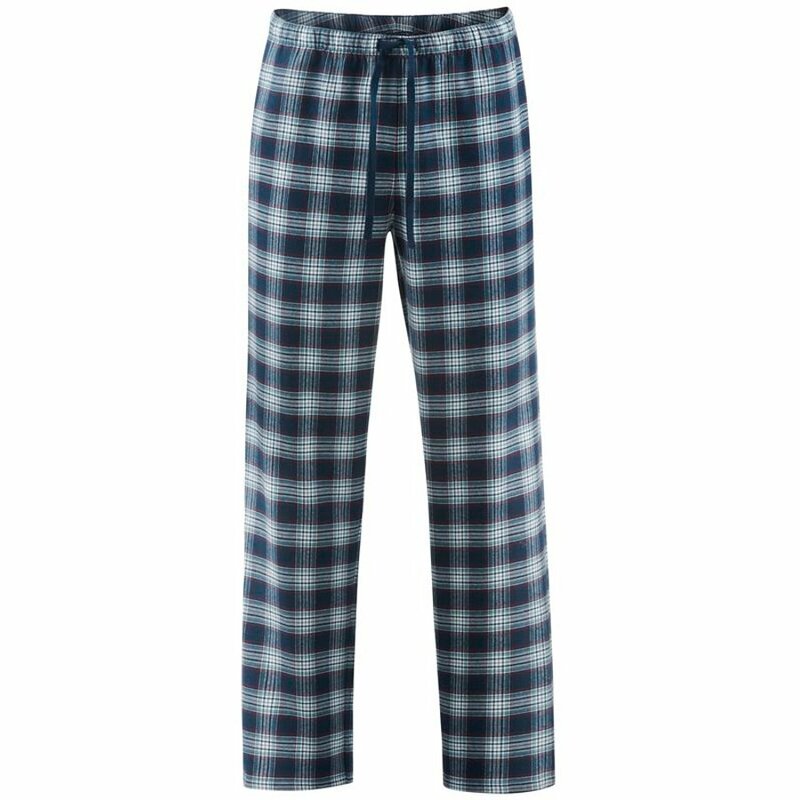 The Men's Flannel Check Pyjamas product ethics are indicated below. To learn more about these product ethics and to see related products, follow the links below. 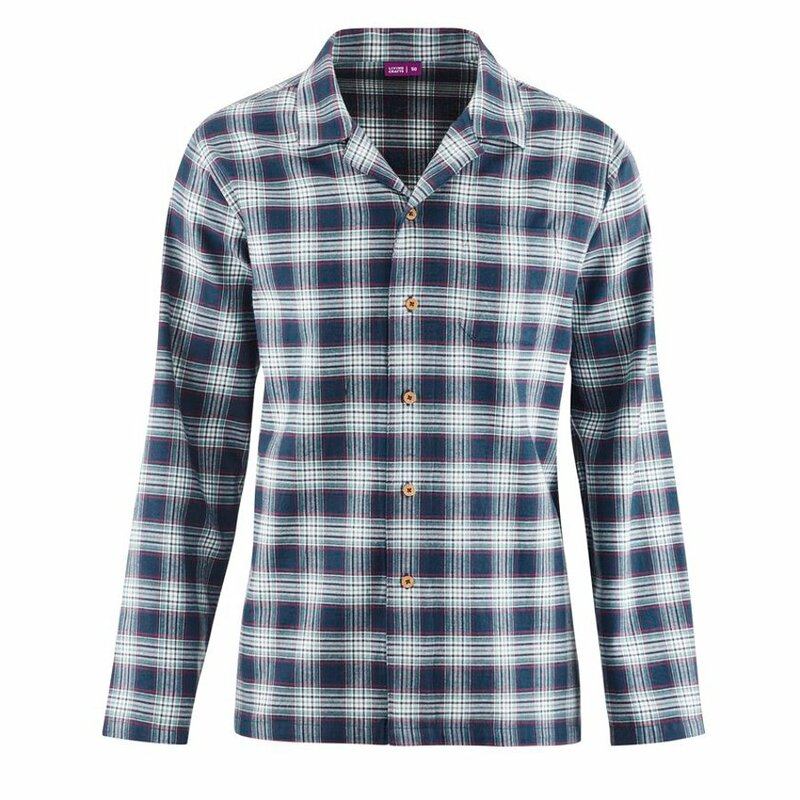 There are currently no questions to display about Men's Flannel Check Pyjamas.